With so many different types of Yoga practices out there today; it may be a little intimidating to figure out where your inner yogi can thrive. Yoga originated over 600 years ago in India. It started out with a series of poses which in yoga terms is called hatha. Now there are hundreds of different styles to choose from. Each style varies based on meditation time, pace, and energy level. Below I have Provided 4 popular styles that can help you decide where to begin. Bikram- established by a former Olympic weightlifter, Bikram consists of 26 difficult poses each done in 105 degrees of hot air. What the heat accomplishes is getting those muscles more flexible as well as getting that heart rate up. This being said you should consult your doctor if you have any cardiac issues. If you start feeling dizzy stop and take a breather. Make sure to hydrate before, during, and after. Iyengar- This practice provides for a deep stretch. It is slow-paced and narrows in on breath control proper alignment. During this practice you will often use straps, blankets, and blocks to assist in getting into proper form without straining your muscles. Once you get into position you will stay there for a few minutes. Consistent Iyengar will help decrease depression as well as reduce your common aches and pains. Ashtanga- This is my personal favorite. This style is filled with power and going with the flow. With each movement you will match your breath. Many athletes are drawn to Ashtanga for its specific series of hatha’s most intense asanas (like chair and Chaturanga). This practice will improve muscle strength and endurance. Kundalini- A spiritual focused style. While you will still be performing common poses like shoulder stands, bow, and seated spinal twists, you will also spend time practicing “breath of fire” (consisting of rhythmic breathing through the nose while pushing out and pulling your belly inward). This practice will help clear your mind. 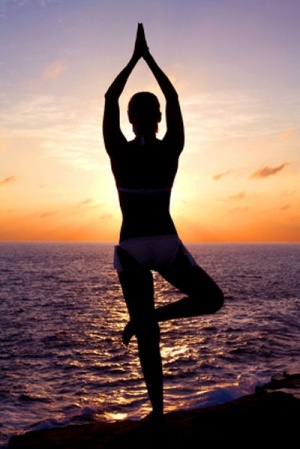 As mentioned previously there are many types of yoga varieties to choose from. Getting started in any of the above will help lead the way to finding your most beneficial style. Next Post Paleo My Taste Buds!